Success Story: Screen Detergent Ingredients & Powder. Galaxy Sivtek > Case Studies > Success Story: Screen Detergent Ingredients & Powder. Industrial Vibro Sifters & Safety Screener from Galaxy Sivtek have Increased Detergent Powder Quality & Production Capacity.-Fortune 500 FMCG Company. Business Case: Screen Detergent Ingredients & Safety Screening of Detergent Powder. Scenario: There are primarily 3 processes in manufacturing of the detergent powder spray drying, agglomeration, dry mixing or combinations of these processes. Right Quality. The typical production process includes, the dry ingredients (raw materials) procured from different sources is mixed with liquid ingredients during manufacturing of detergent powder. The homogeneous mixture is thoroughly mixed in plough shear mixer to eliminate lump formation due to liquid/moist ingredients and finally the detergent granules/powder is packaged in right size. Challenge: The respective production teams at detergent manufacturing units found detergent ingredients to be of low quality due to presence of stones, grit, paper cuts, threads, lumps after procuring raw materials from different vendors. Also, previously the operating costs were very high as regular Vibro Sifter were used before final packing. It occupied more space and time to assemble-disassemble which impacted the production throughput of the manufacturing unit due to high downtime. Quality of Final Product (Before Packaging). The production heads at fortune 500 detergent manufacturing companies cited that, during the pre-mixing stage the dry raw materials procured from various vendors consists of foreign particles that affected the qualityof detergent powder. Also, the detergent manufacturers found agglomerated granules or uneven particle size of detergent powder/granules after plough mixing stage, impacting the final product quality , concludes, National Sales Manager, Galaxy Sivtek India. After understanding the detergent manufacturing lines and production concerns at fortune 500 companies, Galaxy Sivtek identified and proposed SIVTEK Screening & Filtering Solution to achieve the right quality of detergent powder and production throughput. 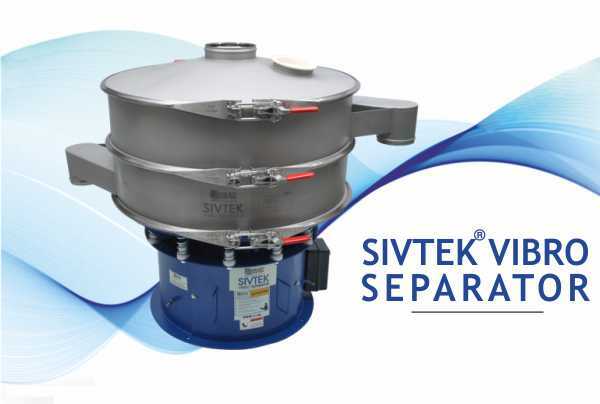 The engineering team at fortune 500 detergent brands were completely satisfied with the technical aspects of SIVTEK Vibro Separator and installed SIVTEK Vibro Sifter to screen the detergent ingredients such as STP, Sodium sulphate etc to achieve the right quality of ingredients before mixing with liquid ingredients. As a typical production process of detergent manufacturing, the high quality dry ingredients were mixed with liquid ingredients such as enzymes, perfumes, brighteners, artificial dyes and colors and other additives in plough shear mixer to achieve a consistently high quality batch of homogeneous mixture of detergent powder. The detergent mixture is thoroughly mixed in plough mixer to prevent lump formation due to liquid/moist ingredients. 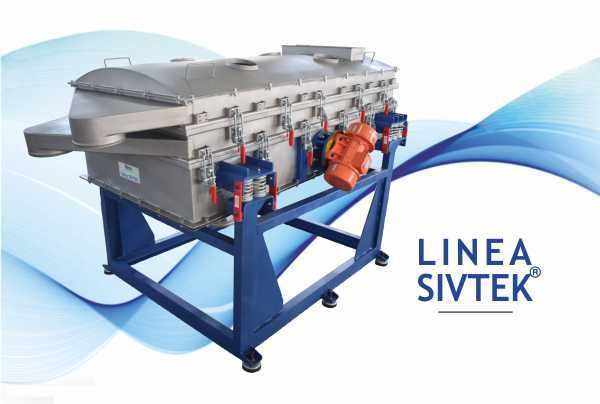 Once the detergent powder is mixed meticulously the global detergent manufacturers installed SIVTEK Inline Check Sieve according to their screening requirement at the final stage of production line to safety screening og detergent powder to ensure product quality before final packing of detergent powder. The compact i.e. the low headroom and sanitary design of SIVTEK Safety Screener assisted leading detergent brand to decrease the operating costs without compromising on the production flow rates as the SIVTEK Check Screener neatly fits into current production lines. Efficient Horizontal Vibrating Screen For Powders and Slurries!